When you opt for the Acura RDX, you have four package options: Standard, Technology, A-Spec®, and Advance. The Technology Package builds off the Standard Package and helps you stay connected as you cruise through Golden or explore Chautauqua Park. 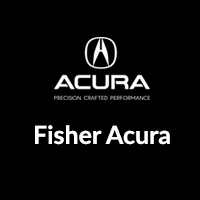 Fisher Acura is proud to offer 13 new Acura RDX SUVs with the Technology Package. If you consider yourself a technology buff, explore your luxury SUV options below. When you’ve made your choice, get pre-qualified online for leasing or financing! What Can You Expect from an Acura RDX with Technology Package? Compare the Acura RDX to the larger MDX to see which is right for your Arvada and Thornton travels. Then, contact us to schedule a test drive! While you’re here, be sure to check out our guide to the Acura RDX interior as well.